Staff — CFT Engineering Inc.
Mr. Heikkila has a diverse educational and professional background with wide experience in Building Code consulting and fire protection engineering. Michael A. Linton, P.Eng., C.P. 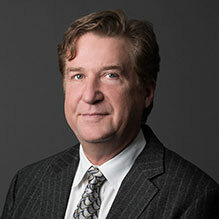 As a Building Code and fire protection engineer consultant, he has undertaken both small and large scale projects requiring drawing review, Building Code analysis and review, and application of advanced techniques in fire protection engineering. 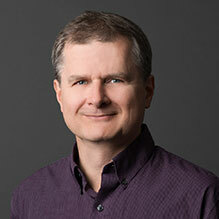 Mr. Walton represents Applied Science Technologists & Technicians of British Columbia (ASTTBC) and Building Owners and Managers Association (BOMA) on the BC Fire Code Committee. Emilia Mazzonna, P.Eng., C.P., M.Eng. Ms. Mazzonna has a Bachelor of Applied Science Degree in Building Engineering from Concordia University, Montreal. Mr. Eidnani is a Project Manager and Building and Fire Code Consultant. He has developed Code analysis reports and Building Code Alternative Solutions for many projects including industrial, institutional, commercial and residential buildings. Ms. Burgess is a Project Manager and Building and Fire Code Consultant and joined CFT Engineering in 2004. Mr. Bolduc is a project manager who has been working with CFT Engineering Inc. since 2011. He is a graduate of the University of British Columbia with a Bachelor of Applied Science in Integrated Engineering. Ms. Wan is a Project Manager and Building and Fire Code Consultant who has been a member of CFT Engineering Inc. since January 2011. 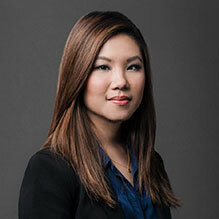 Joanne Chai is a Project Manager for CFT Engineering. Joanne is responsible for mark-up of Code compliance drawings, conducting sprinkler shop drawing reviews and assisting engineers in preparation of Building Code reports. CFT Engineering Inc. is seeking qualified individuals to join our team. The successful candidates should have knowledge of the local design / development community and experience in the field of Building Code Consulting and Fire Protection Engineering. The applicants should be registered or working towards registration as a Technologist in British Columbia, with related work experience. CFT Engineering provides competitive compensation and benefit package with a potential to participate in future ownership of the company for the right candidates. If you have the right skills and experience, and are interested in furthering your career in a dynamic work environment, please submit your cover letter and resume in confidence to our office. CFT Engineering Inc. was established in 1992 to provide professional Fire Protection Engineering, Building Code Consulting & Certified Professional services to architects, building owners, law firms, insurance underwriters, developers, industry & government agencies.